70K Tons of Metal – 1 month left! 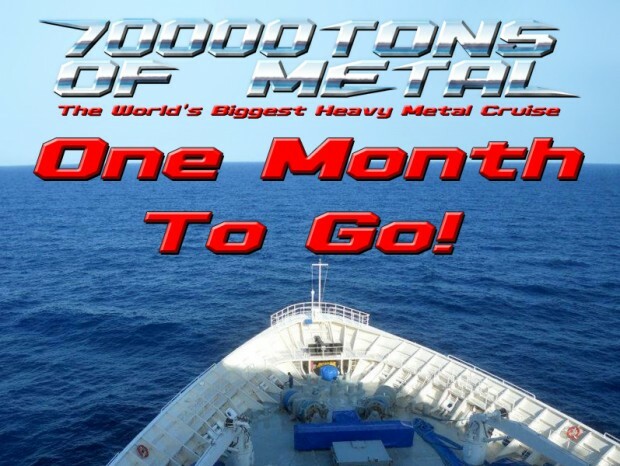 Symphony X is looking forward to the 70,000 Tons of Metal Cruise, in just one month! Just one more month until the 70,000 Tons of Metal Cruise! Join us January 27-31, 2014 as we cruise from Miami to Costa Maya, Mexico and back; click here to book your cabin! Notes: Boarding begins at 12pm on January 27th. ← Spin the black/blue/red/mint circle..